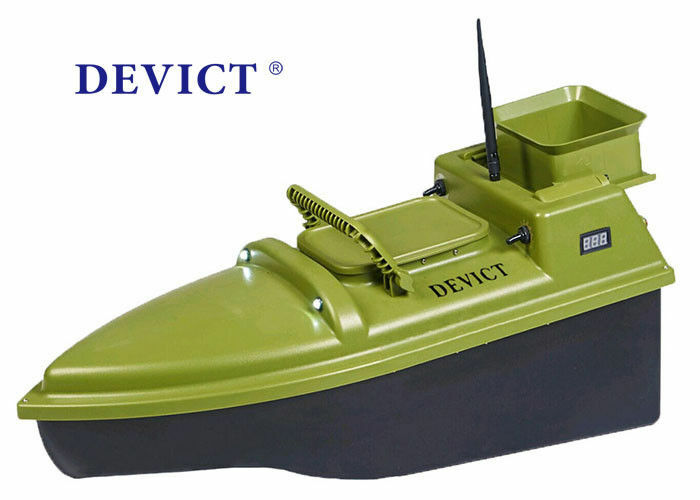 Remote Control bait boat DEVC-104 green RC model fishing bait boat. 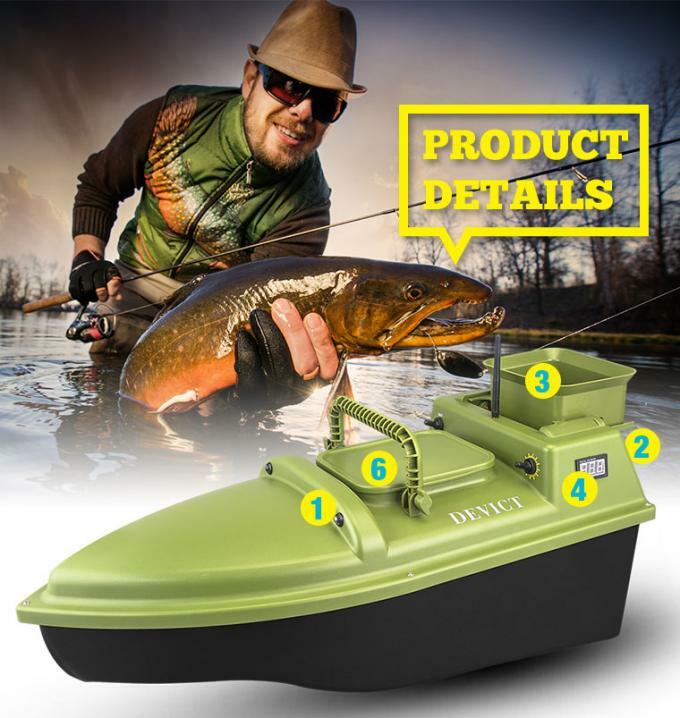 DEVICT MONO bait boat is our classic bait boat with longest histroy. It is popularedby many anglers all over the world by its high stalility and credible quality with bestservice. The obviously highlights of Mono bait boat is the wave resistance ability in the water.It could resist about 4-5 class wave when the boat sailing in the water. 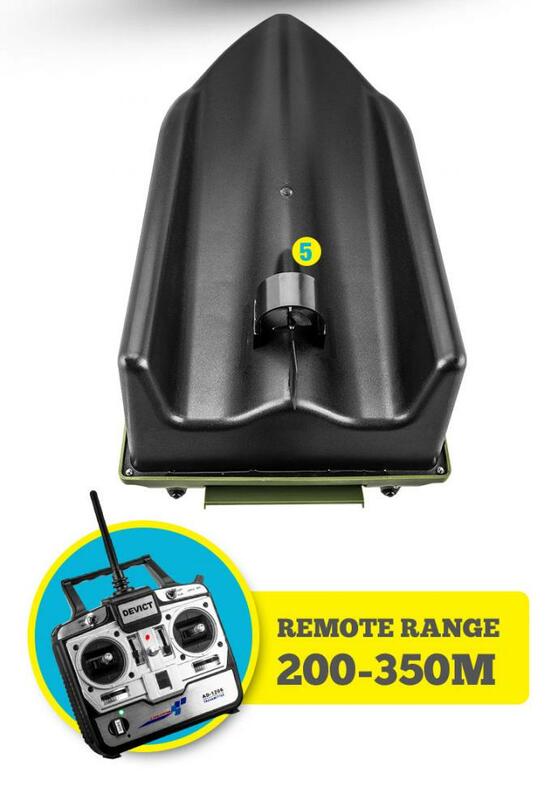 Designed scientific structure to make bait boat in silence sailing, easy maintain andexchange batteries conveniently. It could be widely used in the lake, river and calmsea to dropping fishing lines and baiting by remote technology. The intellegent battery level indicator with new LVF function could warning users intime to ensure saling back the boat before battery used out. 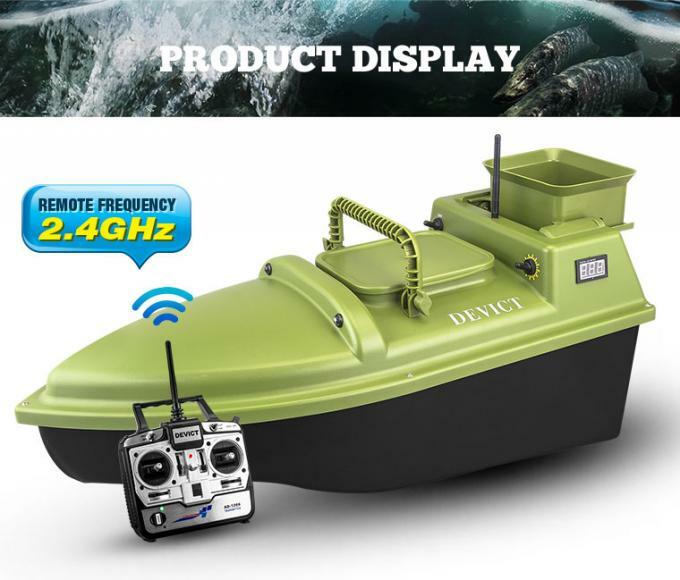 Update bait boat every year to make product perfect and advanced technology inthis industry all the time is the obviously highlight of DEVICT product.The two-years guarantee keep it as the international brand product service. the location of the boat in poor light or at right. Once the boat battery volt is lower close to margin,all these LED lights will be flahing as waming. drop-ping the fishing line & baits together.This hopper could dropping the baits bit by bit when sailing. indicate the battery volt level to help the boat flashing not twined by the grass or anything in the water. when the battery used out. or exchange after opening it.